Can Laminate Flooring Be Installed in A Bathroom? Are you doing some remodeling in your bathroom? Maybe the flooring had to be replaced and your nicely placed tile is now removed and broken. 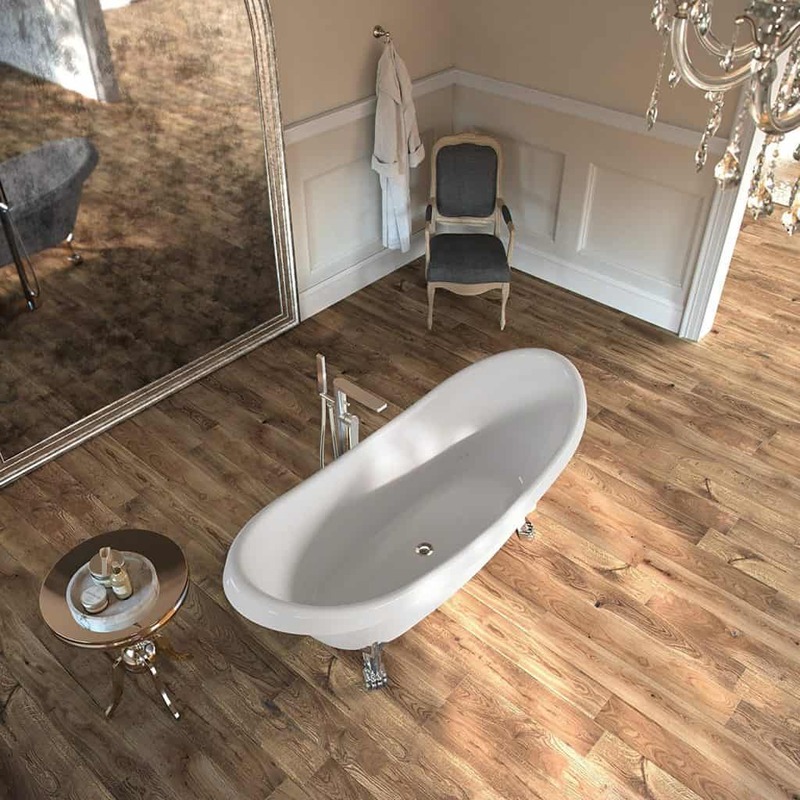 If you are considering some new flooring in your bathroom you may want to try using laminate. Will it work though? Read below to see if it stands up to the moisture that a bathroom holds. 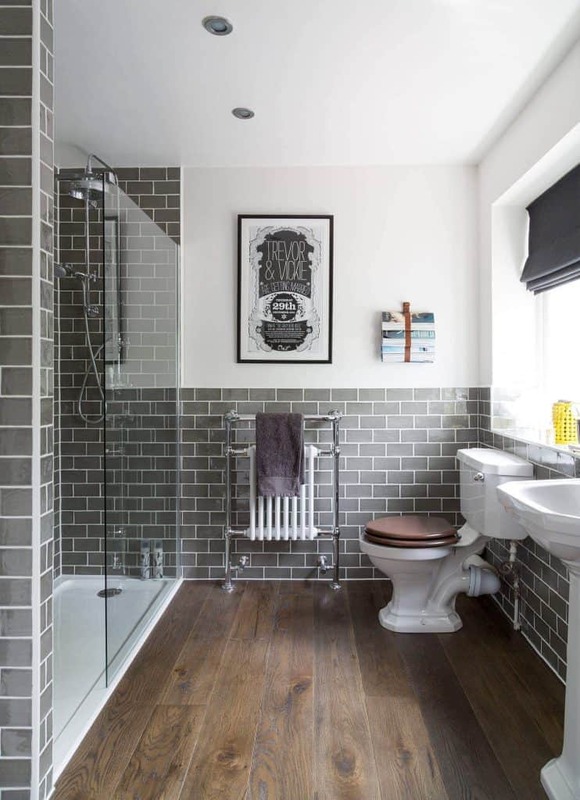 What Are the Most Purchased Types of Flooring for Bathrooms? There are many different types of flooring that people purchase. Not all kinds of flooring are good for use in bathrooms though. By putting the wrong type of flooring in a bathroom then you can end up with some other major problems that will be listed in a section below. For now, the top floorings used. Top of the line is tile. A lot of people prefer tile over any other flooring. It can be used in bathrooms or kitchens without any major problems. When the grout is done correctly, water is kept on the surface of the flooring. Tile easily wipes clean with a mop too. However, it can be pricey. This type of material is used in bathroom settings. However, it is not really recommended. 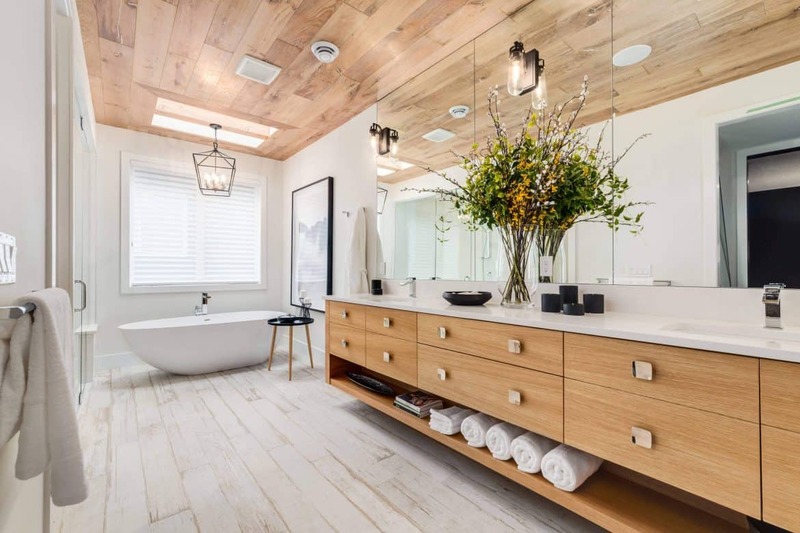 If wood is chosen to put into a bathroom, it should be engineered wood. Even with the issues that come with it, people still opt to have it in their bathroom. This is what the article is all about. It is used very often for bathroom flooring. It does a great job of keeping moisture off the foundation of your home. It is easy to lay and does not come at an overwhelming price. Stone is very hard and certainly durable. 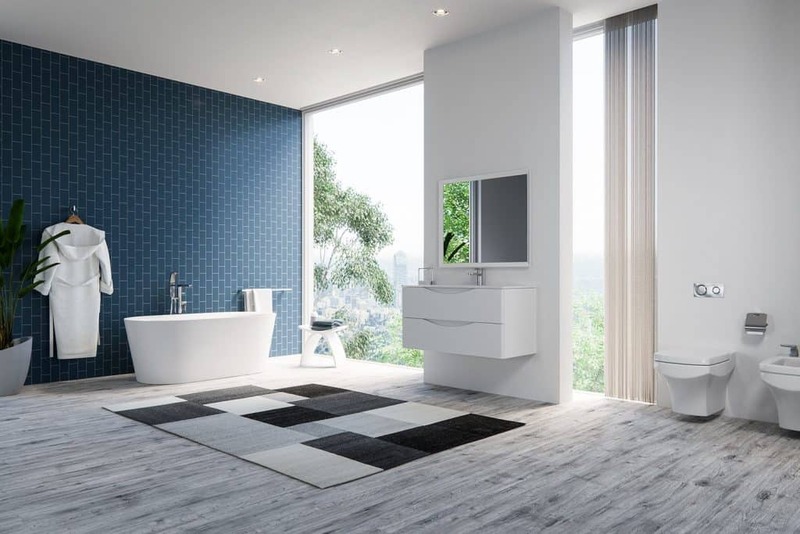 It is a great option and makes the top of the list of bathroom flooring. It does cost a bit and needs to be installed by a professional. You can read more information on flooring and which types people tend to choose at https://www.hgtv.com. What Types of Flooring to Avoid. As with the good, there is always the bad. There are some types of flooring that should not be placed in bathrooms. The damage that can occur can cost a pretty penny. Not only can it mess up your bank account with all the damages, but it can also cause health problems due to mold. Check out the types to avoid here. Carpet can get wet and grow mold. There is never any promise that a toilet won’t overflow or water from the sink hit the carpet. It is best to avoid placing carpet on your bathroom floor at all cost. It does nothing to protect the foundation of the hardwood flooring. When wood gets wet it can bow out. When wood is placed in a bathroom the moisture from hot showers can even cause the wood to bow out. Plus, most solid wood does not have a top coating to protect it from the moisture that a bathroom has. You can read more information on what floors not to use in a bathroom at https://www.horizonservices.com. It is always better to know before you make a purchase. Why is Laminate Great for Bathrooms? Laminate is a very good material to choose for bathroom flooring. There are several great benefits for your wallet and your bathroom as why to choose. Not only is it easy to do it yourself, it is not very expensive to purchase either. Plus, it is completely waterproof which makes it great for bathroom use. An easy at home project. Laminate is easy to install. This makes it widely used by homeowners and businesses alike. It does not take very long at all when installing laminate flooring. You can have the flooring in with all the edges in a single setting. There are many different styles of flooring when it comes to laminate. When purchasing laminate, you will find that the prints are endless. You can also get the flooring in many different colors. Laminate flooring does not break like tile or wood can. It does hold up very well. You can purchase it in many different thicknesses too. The only downside to laminate flooring is that it can tear. It is important to follow instruction on preparing the layout before installing the laminate. I'm Blake Lockwood. I'm a self-proclaimed design snob and this is MY blog. I design fabulous interiors for a living so trust me, what I say is always what goes. Laminate is water and accident proof, so it’s pretty awesome stuff. @2019 - Decor Snob. All Right Reserved.